What are we learning from the current crisis ? What do we have in common ? For most Europeans, the first reaction when they put their foot in another Western country like the USA, Canada or Australia is to say "I don't know why, but I feel European". What makes the European identity ? Our history ? Our common cultural and religious roots ? Our common interests and which ones? What kind of relation with neighboring countries? Around Europe, several important countries maintain close relations with Europe but, culturally and historically, cannot be considered European : Turkey, Ukraine or Morocco and also Armenia or Georgia. Most Europeans feel clearly that these countries are not really "foreign" but that they are not really "us". How far can we go in transferring our national powers to a supranational entity? What is the long-term project ? 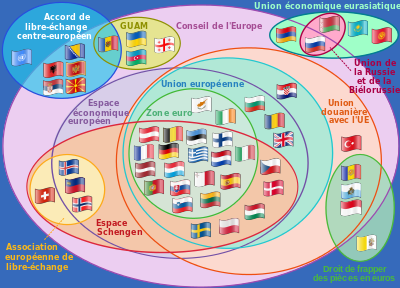 Since the very beginning of the construction of Europe (1957), the choice is between two long-term visions : a large free-trade one or a united political entity. To make things simple : the constant policy of UK (and maybe of the US) has always been the first one and the dream of the six founding countries (France, Germany, Italy, Belgium, Netherlands and Luxembourg) is still the second one. Why does Europe seem unable to regulate the growing flow of immigrants from the Middle East and Africa and help their integration in European countries ? This issue is one of the major cause of the development of populist parties everywhere in Europe and in the governmentsome countries (Germany, Italy, Poland and Hungary to name a few). Peace in Europe : after 4 major wars in only 70 years (Germany-Austria 1866, Germany-France 1870, WW1 1914, WW2 1939) the continent has been in peace since 1945, in spite of the Cold War and a few local conflicts (Yugoslavia, Ukraine). Contrary to the situation in the past, the risk of a war between Germany and France or Germany and UK is now zero. 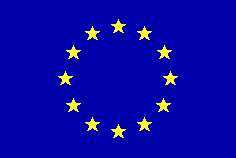 This is a huge achievement and the building of the European Union, though difficult, made it irreversible. A better mutual understanding : a large part of the crisis and the wars of the past was due to ignorance of the other peoples and the other cultures. Particularly for young people : the Erasmus program created a new European generation which has nothing in common with its parents' regarding its vision of the other European peoples. An undisputable economic success : free-trade and the elimination of customs and legal constraints have led to a successful and integrated European economy (ask our British friends about how difficult it is to leave the EU now...). DID YOU KNOW THAT .....? The reunification of Germany in 1990 is, of course, a major event in the history of Germany after more than forty years of two separate states, one democratic and one communist. It was the historical role of Chancelor Helmut Kohl to achieve this reunification in spite of the enormous cost involved. It was also the historical role of President François Mitterrand of France to make it possible by not opposing it in spite of the terrible past of France in front of a strong and more populated Germany. To related pages : more facts on Europe (#1), building(#2), European institutions (#3), European facts & figures (#4), Brexit (#5), etc.